Journalist Cem Küçük, a staunch supporter of Turkish President Recep Tayyip Erdoğan, suggested during a live TV program on Monday that Turkish intelligence should kill family members of jailed Gülenists in order to turn the inmates into operatives for the Erdoğan regime. 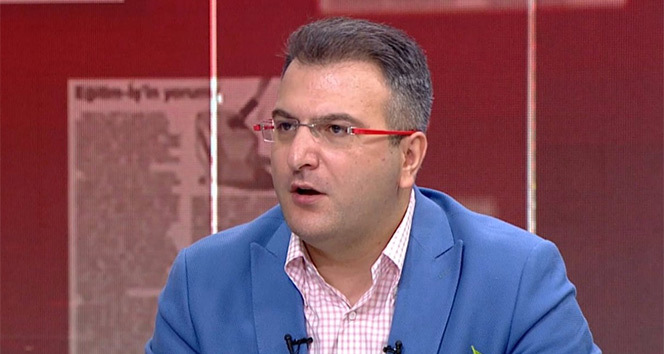 Speaking during a live TV show along with his program partner journalist Fuat Uğur, Küçük said Israeli intelligence agency MOSSAD had killed family members of Palestinian, Jordanian and Egyptian inmates to make them MOSSAD operatives. Suggesting that the National Intelligence Organization (MİT) adopt similar techniques to use on followers of the Gülen group, accused by the Turkish government of being behind a failed coup last year, Küçük also gave the names of former police chief Ali Fuat Yılmazer, former general Mehmet Partigöç and former Zaman daily owner Alaaddin Kaya, who might be useful for MİT to acquire more information about the Gülen group. He also talked about excuses about probable deaths of Gülenists such as traffic accidents, suicides, mass suicides, death from excessive alcohol use, death from overdose, jumped off a bridge after he couldn’t take the pressure of debt and health problems. He said Israel would kill 15-20 Gülenists all around the world if its government was targeted by a graft probe or a coup attempt. Turkey’s President Erdoğan and his Justice and Development Party (AKP) government accused Gülenists, especially those in the state bureaucracy, for attempting to overthrow the government by means of a graft probe in Dececember 2013 and a failed coup attempt in July 2016. Immediately after the putsch AKP the government along with Erdoğan pinned the blame on the Gülen group. Turkey has suspended or dismissed more than 150,000 judges, teachers, police and civil servants since July 15 through government decrees issued as part of an ongoing state of emergency. According to Ministry of Justice data, there are currently 384 prisons with a capacity of 207,279 in Turkey; however, the total number of inmates was 228,983 as of October 2017. The Turkish Ministry of Justice plans to build 228 new prisons with a capacity of 137,687 in the next five years.